Two Te Wānanga o Raukawa publications will be launched next week at Kei Tua o te Pae. 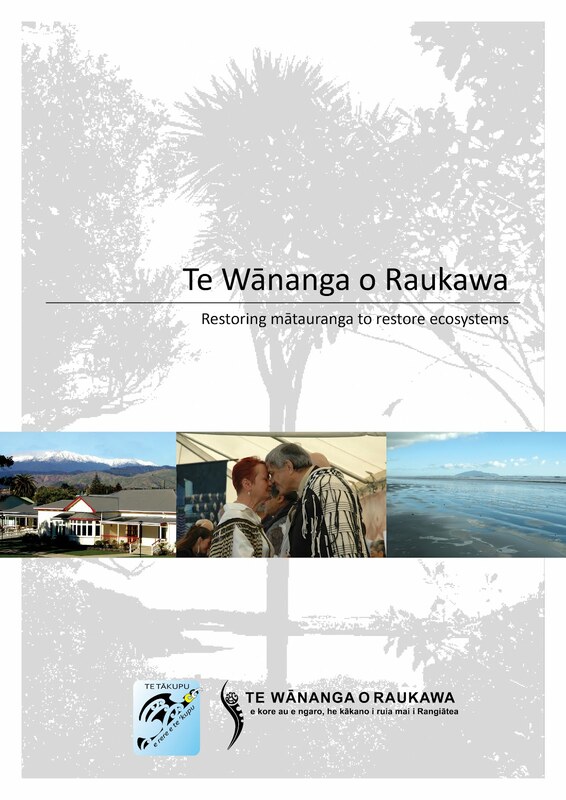 This report explores Te Wānanga o Raukawa’s experience of a collaborative project with Ecological Economics Research NZ, Landcare Research and Te Rūnanga o Raukawa. Despite a commitment to the rhetoric of partnership, the project generated predominantly tikanga Pākehā research outputs focused on biophysical restoration. The lead researchers generally approached ecosystems restoration as an unproblematic exercise of ‘adding-on’ mātauranga to Pākehā economics- and science-based research activity. The report provides a detailed critique of this approach, and argues for iwi and hapū mātauranga to be recognised as vital to ecosystem health. Indigenous languages and cultures need to be respected as fundamental to ecosystems health—to be carefully preserved and maintained alongside their embedded biophysical context. To achieve this, ecosystems restoration theory and practice need to shift away from ‘participatory’ approaches, where Māori participate in Pākehā-defined processes and frameworks, and move instead towards pluralistic processes. This approach embraces a broader outcome of preserving bio-linguistic diversity. The focus shifts to restoring ecological and cultural integrity and stability, recognising that where there is a loss of biodiversity and community, mātauranga disappears, and that the decline of iwi and hapū mātauranga is intrinsic to ecosystem decline. The two are closely interrelated; the loss of one critically affects the other. This approach is consistent with the goal of Te Wānanga o Raukawa, to contribute to the survival of Māori as a people, by restoring and revitalising te reo me ōna mātauranga. 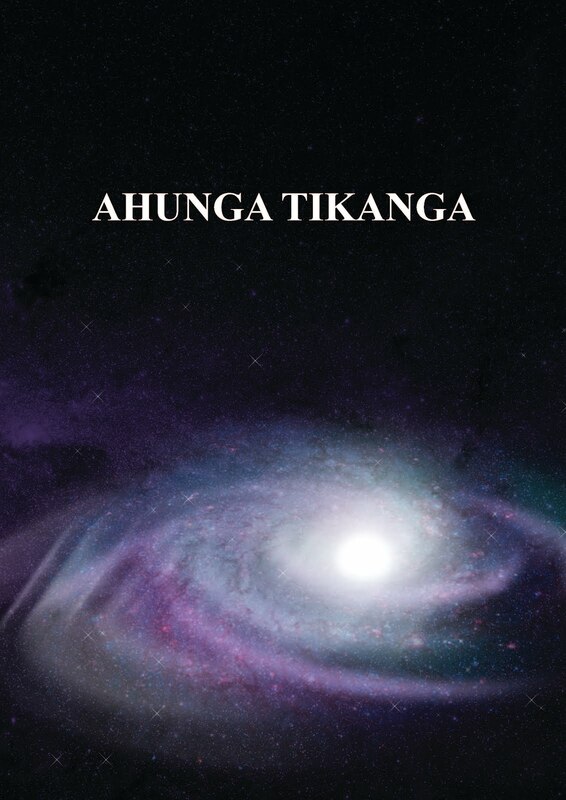 This is the inaugural journal of the Ahunga Tikanga programme at Te Wānanga o Raukawa. The journal contains articles by Moana Jackson, Glen P Te Awaawa Firmin, Elizabeth Cook, Ngāhuia Murphy, Matiu Dickson, Debbie Broughton, Kim McBreen and Ani Mikaere. The articles are diverse in subject-matter, ranging from the story of one man’s close relationship with the Whanganui river to an investigation into the way that we perceive and portray our relationships with atua; from the inspiring personal account of attending a mau rākau wānanga for women to a detailed analysis of the link between Māui and menstruation; from a discussion of the history recounted in a waiata tawhito of Ngāti Hangarau to an examination of the Waitangi Tribunal report Ko Aotearoa Tēnei (Wai 262); from an exploration of a tikanga-based approach to sexual diversity to an explanation of the theory underpinning Ahunga Tikanga studies at Te Wānanga o Raukawa. All of the writers have a close association with the Ahunga Tikanga programme, serving as past and present kaiāwhina or staff members. Currently offering qualifications from the Heke (undergraduate diploma) to the Tāhuhu (masters degree), Ahunga Tikanga studies have been taught at the Wānanga for nearly twenty five years. The programme is founded on the incontrovertibility of tikanga as the first and only legitimate law of Aotearoa, and encourages students to explore the practice of tikanga, as well as the philosophical foundation that underpins it. The content of Ahunga Tikanga courses reflects the conviction that the reclamation, maintenance and thoughtful development of tikanga are both achievable and crucial to our future survival.